What an interesting name. 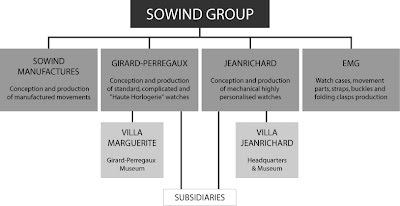 The Sowind group is the owner of two of the world's renowned watch brands, Girard-Perregaux and JeanRichard. Specializing in high-end watchmaking, the Sowind group has a long-term vision in enriching its brands' heritage and reputation for excellence and innovation. GP is well known within the world of horology for the "Tourbillon Under Three Gold Bridges" or Tourbillon Sous Trois Ponts d'Or. 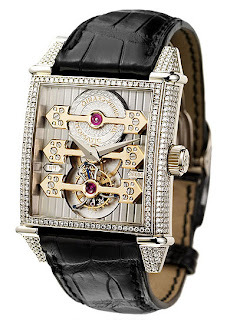 The company can also claim true manufacture status, meaning that it produces the vast majority of the movements used within their timepieces, rather than relying on stock or ébauche parts made by other companies. Founded in the 1988, JeanRichard is a modern brand which targets clientele who are seeking originality and exclusivity. 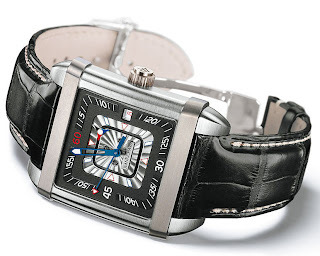 In 2004, JR is able to create its own in-house movement, the JR1000 . Such a development proves JR’s willingness to anchor himself in the culture of the everlasting watchmaking industry.